One simple gift that I made several years ago for my husband still graces his desk. 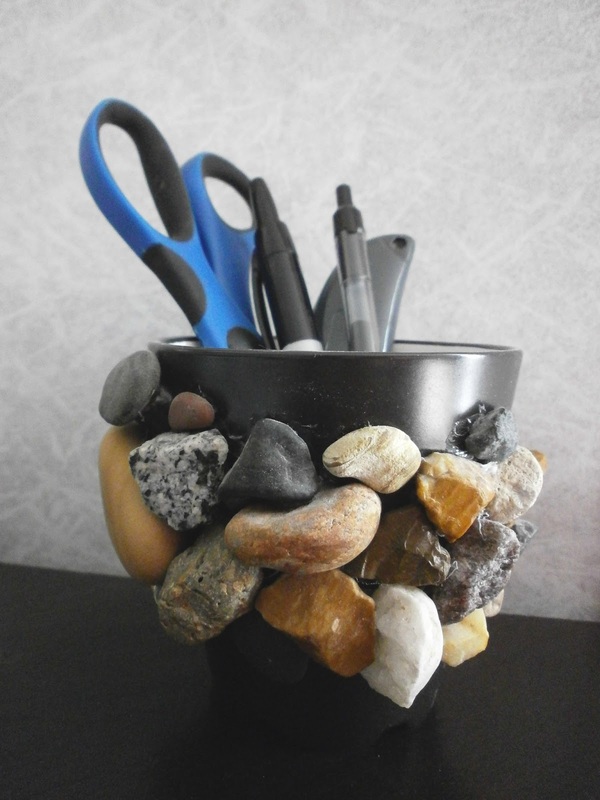 A mug with a broken handle, some handfuls of multi-colored stones, and some very strong glue are all that I used to create this simple pen holder. It is a perfect gift for Father's Day. I was inspired to make this stone-covered mug by a friend who was gluing stones to old lamp bases, to give as wedding gifts. So if you and your kids collect a lot of stones, you could also decorate a ceramic lamp (or two). For us, stones found on the shores of the Great Lakes have special significance. Not only have my husband and I lived in Chicago, near the beaches of Lake Michigan, we also had our honeymoon in Canada on an island between Lakes Huron and Superior. Wash and dry stones well prior to gluing. 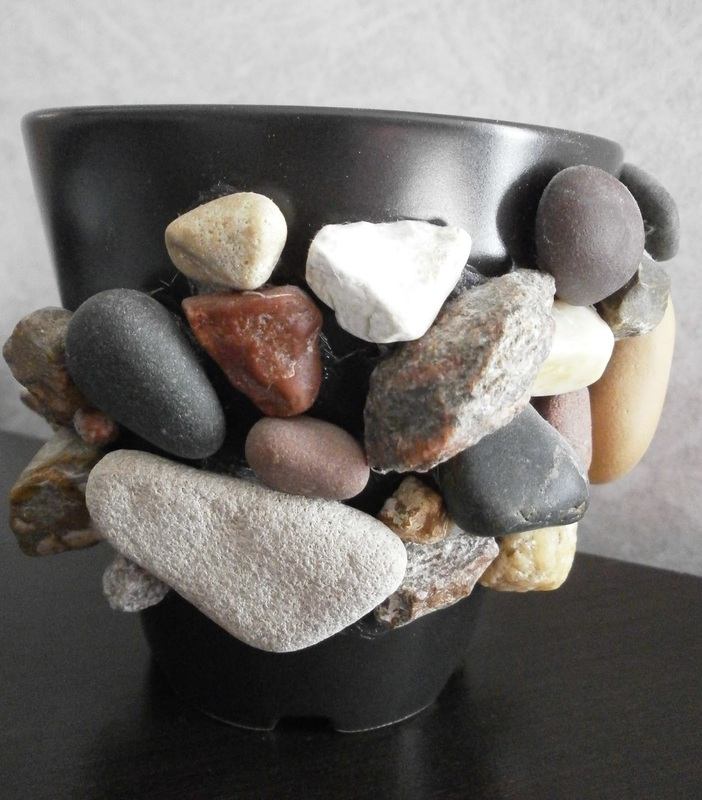 Arrange stones on a table and then on the mug without glue to get an idea of where you would like each stone placed. In a well-ventilated area, glue stones onto the mug, making sure to cover the broken-off handle area of the mug first. Need a gift bag for this once it is done? Check out this frugal gift bag made from newspaper comics. I'm linking this project up here and at AP Tuesday. This is a fabulous idea for kids too....as well as for those of us adults who hoard stones! love that it's so masculine and rugged! thanks for sharing on craft schooling Sunday!